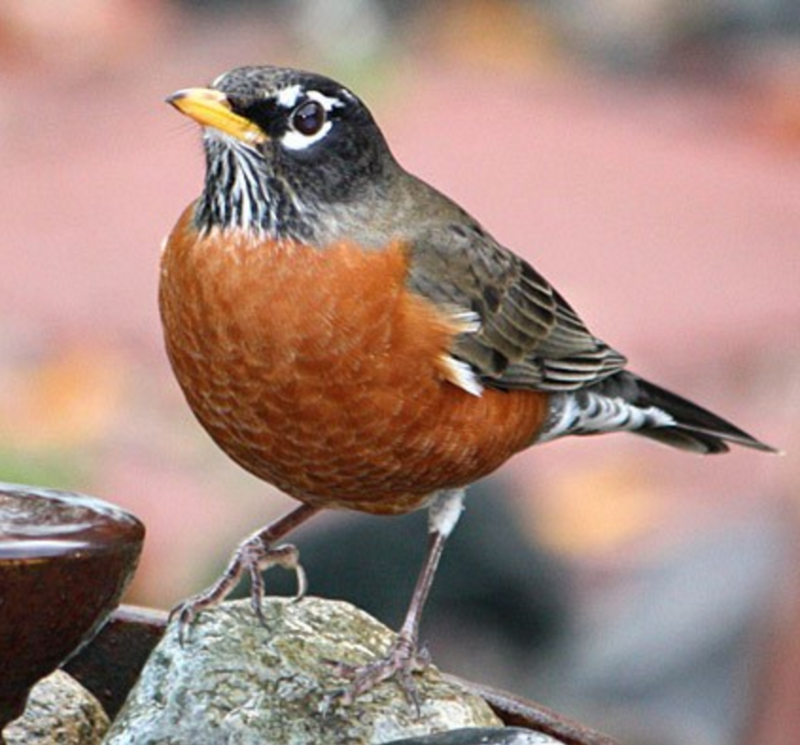 As a child growing up in Winnipeg, Canada, one of the most common types of birds I observed was the Robin. They were big with reddish-orange bellies. There were so many Robins, Robins everywhere. Who was feeding all of them? Teacher, can we help feed the birds? My primary school teachers told us NOT to feed the Robins. Subhan Allah! You know why we, as humans, should not feed the birds? Subhan Allah! You know why? Because as humans, we are IMPERFECT — and the birds NEED PERFECT sustenance. They cannot rely on us humans. If we were to feed them one day, two days, a month — the birds would get habituated to our feeding and place their trust in us. And that trust would be gravely misplaced. Eventually, we would not be able to continue feeding them. 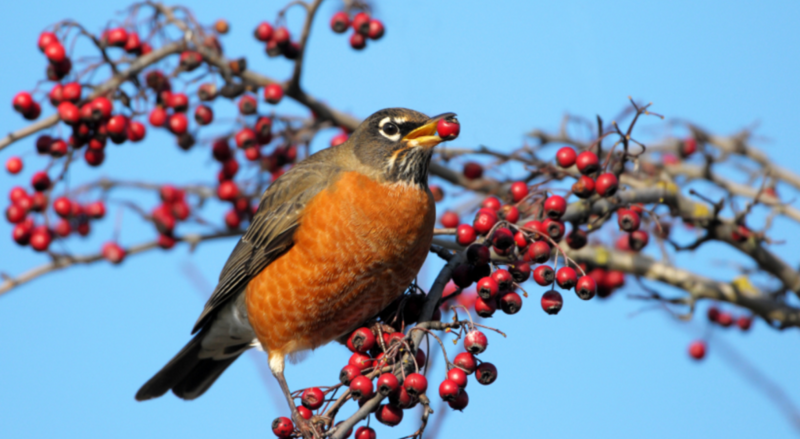 Regardless,the Robins would still show up seeking food. The habituated birds would keep coming back, again and again, until they died. Our primary school teachers taught us: leave the birds. Leave the Robins to the PERFECT sustenance of Allah. Now, what if you thought of YOURSELF as a Robin? The example of the bird going out in the morning shows us that one of the greatest expressions of faith and devotion is to take all practical steps to achieve our goals while at the same time placing our complete reliance upon Allah for the outcome (Al-Oadah, 2012). If you haven’t reminded yourself of Allah’s marvels recently, perhaps you’ve forgotten … YOUR own creation is one. Previous Post ‘Unanswered’ Duas? Guidance on what to do Next Post Boyhood memories – What made you happy? Beautiful, mashallah…really needed that reminder. Masha Allah…what a reminder,jazakallah khairan Akhi,,,fiddunya wal akhirah. U have no idea wat dis would do to many lives including mine. Knowledge is always a REMINDER to Minkind to RIGHTEOUSNESS. ALLAHU AKBAR. Subbahanallah! I’ve learned from this lesson to trust every thing of mind to Allah only and sustenance will surely come on daily bases Ma Sha AllAh. Kindness and his infinite mercy. I really find your story very interesting. May Allah in His infinite mercy increase our knowledge. it is really thought provoking, we says that we put trust in Allah SWT but we do not put it as we should put Trust in Allah. thank you for remind and teach us. Very inspirational. May Allah increase your knowledge. Gazakum Allah Khair brother. Yes indeed. The word “Trust” encompasses everything. Best wishes. Your brother Gamal. JazzakAllah khayr. What about if one has exhausted all options? Or finds he/she has hardly any options. Is it ok, in such a case, to focus on duaa and cherish hope in Allah to open doors? Subhan Allah! Didn’t know that info about the Robins! Masha Allah may ASWT raise your rank in Jannat for sharing such gems with us. Your’s is a great contribution towards building the faith. May you succeed in your mission. May Allah reward you here and hereafter. Aameen. What a truth ! That needs to stand apart and hold your attention !!! Very deep meaning. Good comparison and analogy of Robins. Assalamu alaikum..I always makei t a poineto read your emails and blogs, because theya ‘re precise yet very powerful MaashaAllah… May Allahr reward you for instilling such noble thoughts about Allah and Islam.. Very inspiring material.The author is articulate.I pray Allah to increase him in knowledge and guide us to the straight path and make us die as Muslims. We should trust only in Allah. Jazakallahu khairan, thanks for the teachings. Assalam Alaikum Brother, It is really good.But please can you tell me how to make myself a hardworking and also to rely on Allah, I rely on Allah but do less of hard work and procrastinate things though my less work turns out to be Alhumdulillah good and blessed one but I feel too much stressed at the 11th hour. Trust Allah is simple but hard to do, why? @Ali thank you for taking the time to share those kind words. Jazakallah, thanks for the reminder! JazzakaAllah kheiran, i really needed this reminder. In Allah thecreator of all creatures we trust and re lie. JazakAllahukhayran for strengthening my Faith. May Allah make it SADAĶATU JARIYA to u hare and hare after. SubhanAllah. Everythings are from Allah, for Allah and to Allah SWT. وَيَرْزُقْهُ مِنْ حَيْثُ لَا يَحْتَسِبُ وَمَنْ يَتَوَكَّلْ عَلَى اللَّهِ فَهُوَ حَسْبُهُ إِنَّ اللَّهَ بَالِغُ أَمْرِهِ قَدْ جَعَلَ اللَّهُ لِكُلِّ شَيْءٍ قَدْرًا}[الطلاق: 2، 3]. Ma sha Allah! JazakAllah khair for this wonderful post, it’s a great reminder. May Allah guide us to what is best. JazakAllah Khairan for such a beautiful piece! After reading it I had this warm feel of iman boost. Alhamdulillah. what a nice piece. Prise be 2 god the best of creator who creat man from the obligate. what a powerful and wise words you have may ALLAH increase your knowledge and reward you HEARAFTER.